There have been many high profile news stories and campaigns surrounding the current state of our oceans. Plastic pollution is becoming a huge issue in many parts of the world, and many are looking to the maritime community to address this. 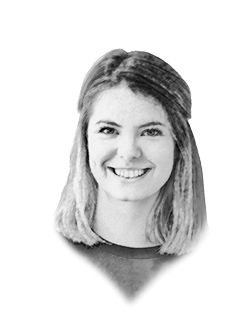 In an attempt to alleviate the problem (and circumvent the bureaucratic issues faced by government-funded programmes), many individuals in yachting are pledging to combat the problems themselves. The captain of 45m M/Y Awatea – named after the Maori term for ‘bright pathway’ – is one such individual. 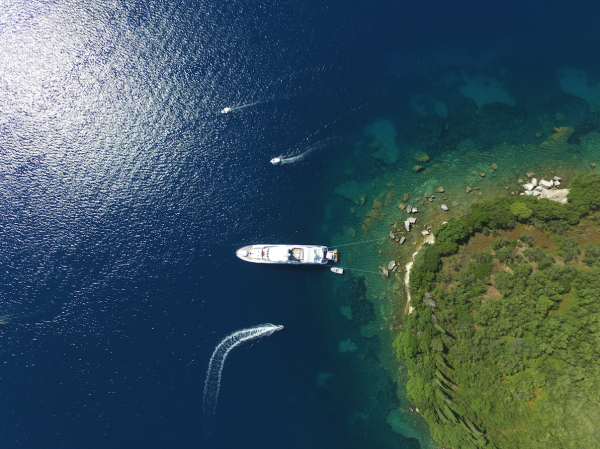 Captain Micheal Duncker spoke to SuperyachtNews to share how he is actively working to minimise his vessel’s environmental impact. “Quite simply, it comes down to education and not being lazy,” he begins, explaining how he was inspired to actively address environmental issues after speaking to ocean advocate Emily Penn and fellow captains involved in the Y.CO ‘Clearwater' campaign. Duncker suggests assigning each crew member a precise purpose or task within the programme, “We are giving each person on board individual roles to investigate what can be done in each of their departments and look to hold a monthly meeting to discuss changes and effectiveness. These meetings don’t have to be for long, but keep the conversation as an undercurrent in the crews’ lives, and the ideas flowing.” He also recommends to look at all aspects of the yacht’s lifecycle and management, from the chemicals the crew use, the methods of cleaning, the vendors that supply the yacht to the materials consumed. “The tools are there, it is about breaking the routine,” he says. A huge part in the success of M/Y Awatea’s campaign is as a result of the support from the vessel’s owner. Speaking via email, he explains why he is fully behind the change in routine aboard his yacht. “While [I have been] ocean conscious for many years, our focus has been sharpened since being introduced to the ‘Clearwater project’, through our business and personal relationship with Y.CO.” This corroborates the rhetoric of many environmental programmes: widespread education on the severity of the issue is fundamental to achieving any significant goals. He continues: “While our waters are relatively healthy, we have to be forever diligent to ensure they stay that way. We must share our views and aspirations with other nations to ensure the world is aware of the importance of healthy oceans and the survival of the world as we know it.” Both owner and captain see this new approach as a long-term strategy for the vessel, which will shortly be embarking on a world-wide cruise. “Education plays a big part in this initiative and we will continue to support educational programmes. and use Awatea to carry this message as we circumnavigate the world,” the owner concludes. 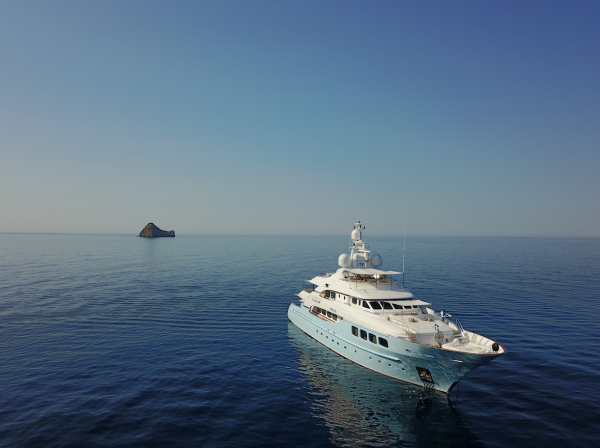 “I am happy and proud to say it is something that I look to be a part of in the future,” adds Captain Duncker, “And I look forward to see how we can continue on this journey.” Happily, it would seem that M/Y Awatea is living up to her name by forging a brighter path for the yachting industry.